Papua New Guinea covers the eastern part of the island of New Guinea (as well as small islands around), while the other section belongs to Indonesia. This strange, straight-lined division also marks the boundary between Asia and Oceania. The country has been inhabited for more than 40 thousand years but the first records of Europeans visiting these lands was made in 1526, by Portuguese navigator Jorge de Menezes. Despite attempts, effective European colonization only occurred in the last decades of the 19th century, with Germany and subsequently Australia ruling the land. In 1988, inhabitants of Bougainville – the most easterly of the islands of the country – initiated a separatist movement. In 2001, the conflict ended with a peace agreement in which Bougainville and nearby small islands became an autonomous region. In 1975, Papua New Guinea gained independence, but the head of state remains the British monarch. Papua New Guinea is considered as one of the most culturally diverse countries in the world, with more than 800 different languages being spoken in the country. The majority of the population live in various communities scattered across the wooded landscape, with less than a quarter living in urban areas. Traveling through the islands of this archipelago of the Pacific Ocean can be challenging as tourist infrastructure is rather limited – but that is precisely what makes them more attractive to many travelers. A trip through Papua New Guinea can have several high points starting with trekking in dense jungles, crossing the mighty Sepik River, surfing the waves of New Ireland, fishing around the Tufi fjords, bird-watching the famous birds of paradise in the Highlands, or diving in exotic coral reefs. To visit this archipelago – which already seems incredible due to its exuberant nature and practically untouched – takes some courage and a lot of willpower. But perhaps it is the excitement of running after the unknown what generates the adrenaline that many travelers long to feel. Still, it is not like you will have to sleep in camps in the middle of the jungle. The capital, Port Moresby, has great choices of hotels and restaurants, being a reliable gateway to the rest of the islands. 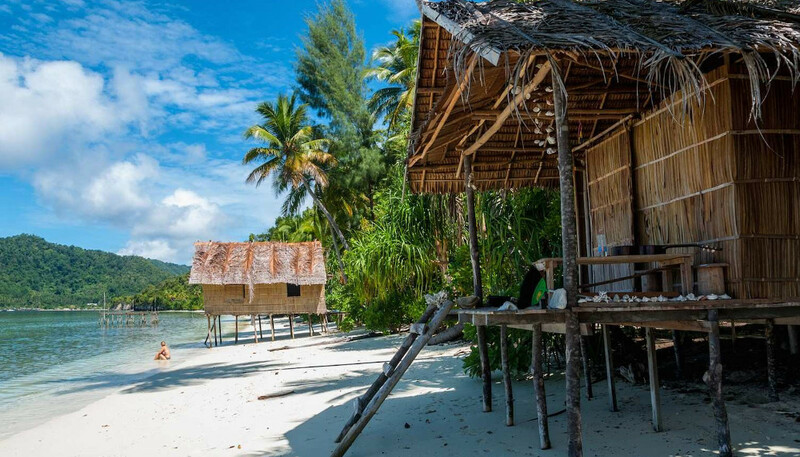 In addition, there are a few resorts throughout the archipelago offering high-end accommodation in isolated areas. Remember to enjoy a lot of walks and explore the ecotourism, since deciding to get to know Papua New Guinea is to make a trip without frills, with much foot on the ground and an open mind to understand new cultures. It is to get in touch with a world opposed to that of most westerners and to draw from it life lessons that will inspire you on the rest of your journey.